William T. Rolf, Jr. 88 years of age of Mantua, formerly of Bedford, became Our Gift to God on January 27, 2019 at The Woodlands in Ravenna, Ohio. Mr. Rolf was God’s Gift to Us on May 28, 1930 in Cleveland, Ohio, the son of the late William T. and Sylvia (Mulac) Rolf, Sr. He was the devoted husband of Audrey Rolf (deceased 2000), and the loving companion of Bernie Putka. Formerly of Bedford, he had been a resident of Mantua since 2002. 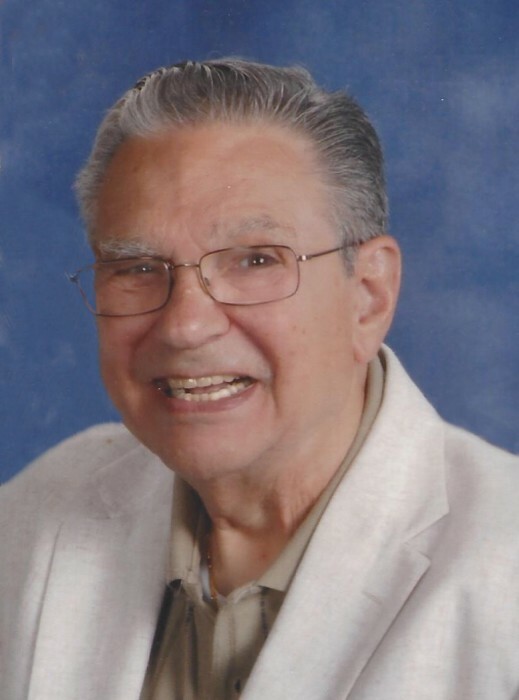 A graduate of Cathedral Latin High School, he had been a longtime member of St. Mary’s Catholic Church in Bedford, and presently was a member of St. Joseph’s Catholic Church in Mantua. Mr. Rolf had been employed as an electrician at U.S. Steel in Cleveland for 41 years, retiring in 1985. He proudly served his country during the Korean Conflict in the U.S. Army. Bill enjoyed dancing, going to the casinos, traveling throughout the United States, and his trip to Europe that included going to Rome. He also was a true lover of dogs. On July 4, 1951, he married his beloved wife Audrey Rolf whose passing took place in 2000. He is survived by his devoted companion Bernie Putka of Mantua; his beloved children William T. (Therese) Rolf of Parma, Kathleen (Joseph) Lupica of Macedonia, Audrey (Russell) Rodick of Oakwood Village and Jackie (Jerry Bess) Rolf of Maple Hts. ; dear sister Mary Kay Lilly of Florida; and his loving grandchildren Daniel and David Rolf. Bill will forever be missed by those family and friends who truly loved him just as much as he loved them. Calling hours will be Friday February 1, 2019 at the Green Family Funeral Home & Crematory Service, 4668 Pioneer Trail at the corner of St. Rt. 44, Mantua, Ohio 44255 from 5:00 P.M.-7:00 P.M. Mass of Christian Burial will be Saturday, February 2, 2019, 10:00 A.M. at St. Joseph’s Catholic Church, 11045 St. Joseph Blvd., Mantua, Ohio 44255 ( EVERYONE PLEASE MEET AT THE CHURCH). Officiating will be Rev. Edward Stafford, and Fr. John Putka. Final resting place will follow at All Saints Cemetery, Northfield, Ohio. Condolences and memories may be viewed at www.GreenFamilyFuneralHome.com.